Dr. Dorian Mintzer, owner of RevolutionizeRetirement.com, a Boston retirement speaking and coaching firm, recently spoke at the second annual Retirement Coaches Association Conference in Ann Arbor, MI, on September 27, 2018. Mintzer's talk, Double Trouble: Coaching Couples, addressed the complexity of couples in the 21st century, techniques for effective communication, developing individual and shared visions, and the challenges and rewards of working with couples. Mintzer noted that one of the challenges of a coach working with clients on retirement transition issues is that each person has dealt differently with previous life transitions, which will impact how they approach their retirement transition. She added, "Working with a couple may involve sessions with only one member of the couple, so it's important to think "family system' in your work. Retirement impacts the entire family system-even if only one person is retiring at the time." The Retirement Coaches Association Conference brings coaches, HR Professionals, and financial advisors together to brainstorm and discuss trends and opportunities in the non-financial aspects of retirement planning and living. The Retirement Coaches Association was founded by Robert Laura, The Retirement Activist, after he spent several years interacting with coaches, financial professionals, human resource professionals, academics and many others and recognized the need to bring this specialized group of practitioners together. When asked about the impact of this year's conference, Laura reported, "Our expert speakers and panels tackled the topics that mean the most to our members, including the brain and retirement, working with couples, caregiving, coaching techniques, attracting corporate clients, working with advisors and a host of marketing programs that included podcasting and hosting an online symposium. We celebrated several milestones this year, including 50% more attendees, attracting and integrating international members, and discussions on starting local chapters across North America. Going forward, the plan is to continue to develop online and conference programs that challenge the status quo of traditional planning and find more ways to help professionals, individual, and couples understand the importance in planning for the non-financial aspects of retirement." Dr. Dorian Mintzer, M.S.W., Ph.D., BCC (Board Certified Coach) is a coach, therapist, teacher and writer with extensive clinical experience. She speaks to professional and community groups. As a coach, she helps women, men, and couples reinvent themselves in the second half of life. She is a co-founder of Certified Retirement Coaching 2.0., the founder of the Boomers and Beyond Special Interest Group for interdisciplinary professionals, and founder and host of a monthly webinar on the 4th Tuesday of each month: Revolutionize Your Retirement Interview with Experts Series for professionals and the public. She weaves adult development, holistic life planning, and positive psychology into programs that tap and shape clients’ energies into roadmaps for wiser, more enhanced living. She has written about many topics pertaining to the second half of life and aging. She is co-author of The Couples Retirement Puzzle: 10 Must-Have Conversations for Creating An Amazing New Life Together and has also contributed to Not Your Mother's Retirement; 70 Things to Do When You Turn 70; 80 Things to do When you Turn 80; Six Secrets For a Happy Retirement; 65 Things to Do When You Retire: Travel; Live Smart After 50! ; 65 Things To Do When You Retire; Remarkable and Real; and Making Marriage a Success. She is also co-producer of The Career Playbook: Second Half Plays. 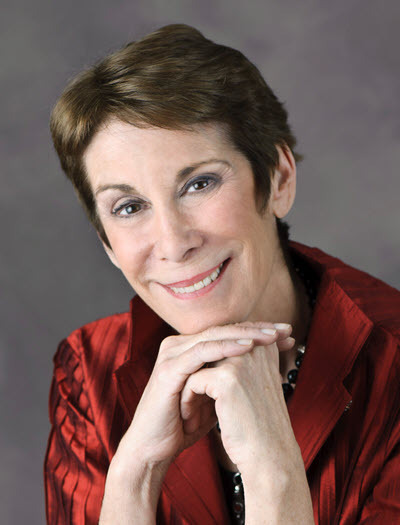 For more information on Dorian Mintzer, visit her site at https://www.revolutionizeretirement.com. Her book is available for purchase on Amazon.com.